The contest is named in honor of the two local “Kings of Q”, Latham “Bum” Dennis and the late Pete Jones. Both families run a successful BBQ restaurant and share family history as being descendants of Skilton Dennis. 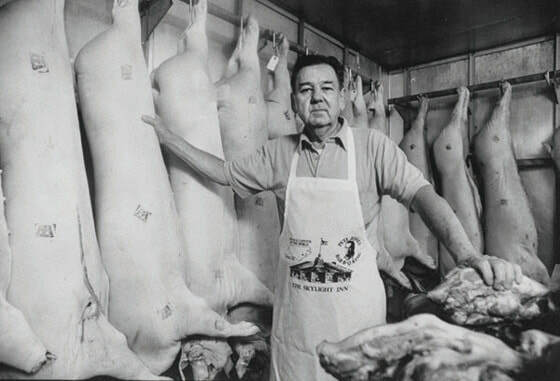 ​The Dennis family history stakes claim to the nation’s first commercial barbecue establishment. In 1830, Skilton Dennis is said to have started selling pit cooked hog meat and cornbread out of a wagon in a community named Otter Town, the present town of Ayden. The Dennis clan is said to pass “that ‘gift’ with barbecue” from generation to generation.